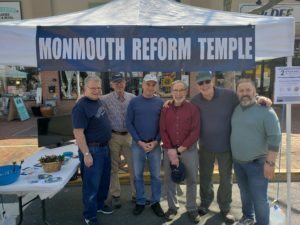 MRT Men’s Club promotes camaraderie and Judaism among MRT males, harmony and spirit in our Temple, and acts as a service arm to our congregation and community. All MRT male congregants are welcomed and encouraged to be a part of Men’s Club. 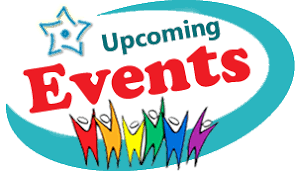 In order for us to continue these events and programs – and more, we need your support: a little of your time, your ideas and enthusiasm, and yes a little gelt. 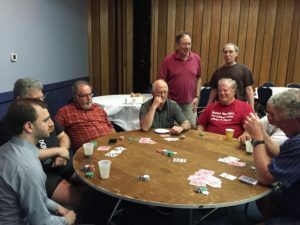 Donate to the Men’s Club! Donate to the Baldwin Davidson Scholarship Fund for Youth Programs! I would like the recognize the following men for their generous contribution to the Men’s Club for the 2015/2016 season. If your name is not on the list, please give me of recognizing you for your contribution next month. There is no end date on gift-giving, I will take your check, cash, or PayPal payment at any time. Men’s Club Enjoys Beautiful Fall Day of Golf! 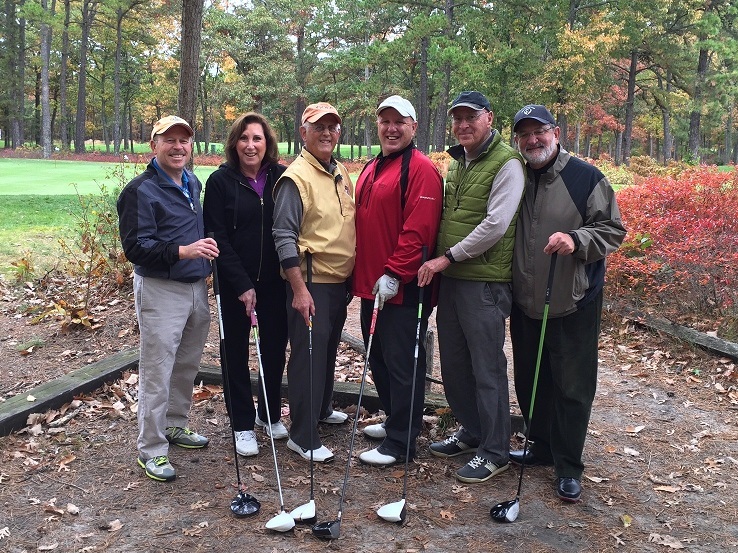 On Sunday October 25, 2015, 6 MRT members ventured forth to Pine Barrens Golf Club, where Jay Feigus had arranged an invitation for the Men’s Club to play golf. Huge thanks to Jay! The team of Bob St. Lifer, Don Rothman, and Jay Feigus, pictured from the right, bested Al and Maxine Klatsky and Zach Gilstein 66 to 68 in the best ball competition. Zach, Al, and Maxine get to contribute $18 each to the Tzedakah box in honor of their 2nd place finish. Bob, Don, and Jay retain bragging rights until next year! The next golf outing – for 2017 – is Sunday, October 1! Stay tuned for details!